The report, conducted in conjunction with researchers from Cornell University, claims to be the first of its kind to estimate how many people are affected by incarceration nationwide. The paper claims that more than 100 million people across the country have had an immediate family member who has served time in either jail or prison. The report also includes several pieces of state-by-state data. 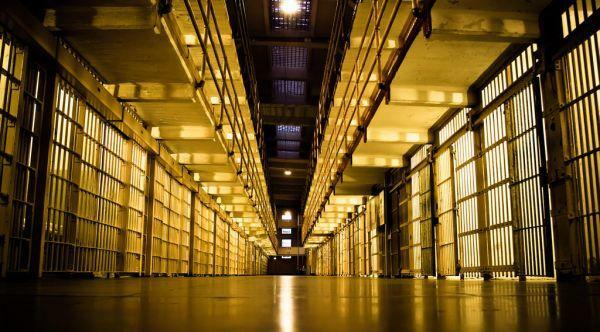 In Illinois, the report claims that nearly 44,000 people are currently incarcerated state prisons, but the system was designed to accommodate only about 27,000 inmates. Felicity Rose, director of criminal justice research and policy for FWD.us, said overcapacity prisons can result in a myriad of problems. “That can mean that people are housed in very inhumane conditions. It can be dangerous for the people who work in those prisons, that can lead to less programming so less opportunities for recidivism reduction,” she said. Rose added that overcapacity prisons may also result in cutbacks on visitation hours for families and loved ones of inmates due to a lack of staff or space. The agency said they’ve been tasked with implementing reforms that would reduce the prison system’s population by 25 percent by 2025. IDOC stated the total inmate population as of early December was roughly 40,000, and that the figure was down from about 48,000 inmates in 2015. Rose said the report's findings that nearly half of U.S. adults have a currently or formerly incarcerated immediate family member comes from a survey of more than 4,000 people. In Illinois, the report states that more than half of people incarcerated are black, 30 percent are white, and about 13 percent are Hispanic. The report also notes that about 6 percent of children, or roughly 186,000 kids, in Illinois have a parent who is currently or formerly incarcerated. The purpose of the report, according to Rose, is to draw awareness to an array of harms that result from mass incarceration, including financial insecurity, health issues, academic and behavioral problems for children of people who are behind bars. “We hope that policymakers and the public starts to understand that this problem does not just touch the people who are in prison but also their loved ones on the outside and start to think about all of those additional costs and harms that are caused when they're making policy decisions,” Rose said. She added that, as the daughter of a person who was incarcerated, she hoped the report would shed light on the sheer number of people affected by imprisonment.